Worst Words of 2014 | hesaidwhatnow? Another year has passed, a year that brought us such spectacular highs as fried chicken corsages, movies about zombie beavers, and the Norwegian curling team’s Olympic Games uniforms. And as you are no doubt aware, as mandated by international law, it is illegal to have a blog and not do some sort of ‘best of’ list to signify the end of a year. Wanting to avoid the usual drivel, I thought I would talk about something I stumbled on the other day: a list released by the Plain English Foundation. The PEF is an Australian organisation that promotes speaking plainly, and avoiding unnecessary jargon, confusing euphemisms, and flat out deceptive corporate and political speak. Sadly – but unsurprisingly – 2014 saw plenty of examples of the English language being mangled in the most appalling of ways. So it is that Hesaidwhatnow? brings, courtesy of the PEF, the worst words of 2014. The overall winner for the worst words of the year was this cringe-worthy pair of nothing words from Gwyneth Paltrow and Chris Martin. The former husband and wife did not split up, nor did they divorce. They didn’t even decide to go their separate ways. 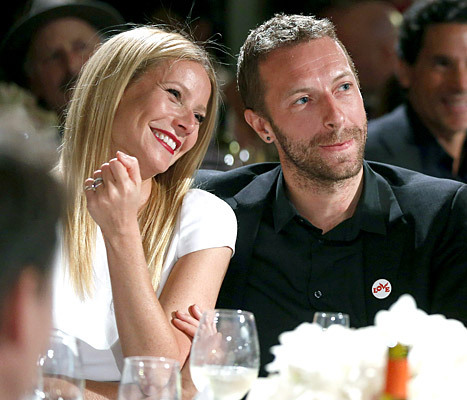 Rather they had a “conscious uncoupling”, which couldn’t sound more pretentious if it had a fake upper class accent. In fact it is so vomit inducing, just reading the words will make your stomach and your lunch want to have a conscious uncoupling of their own. I can’t believe the parents of Apple and Moses could have come up with such stupid words. Big corporations are the worst. Microsoft emailed its employees, stating that its “device strategy must reflect Microsoft’s strategy and must be accomplished within an appropriate financial envelope.” I’d imagine most employees’ reactions would have been, ‘Whuh?’ Luckily the 11th paragraph of the email finally got to the point and explained what accomplishing Microsoft’s strategy within an appropriate financial envelope meant: 12,500 employees were being sacked. I don’t know how these companies can’t understand that inane corporate spin only makes things worse. Residents of a town in Victoria, Australia, were forced to breathe in foul smelling smoke for over a fortnight due to the actions of a multinational mining company. The problem was, the mine they were operating had an “open cut event”. Translation: they accidentally started a fire that could not be controlled for a month. In order to explain it more clearly, they stated that “inversion conditions” led to a “reversion” in air quality, while fire fighters struggled to bring the blaze “to its totality”. I think who ever drafted the press release should be forced to stay in the mine and enjoy the open cut event. I thought rapid disassembly was something I used to do as an 8-year-old when I heard my parents coming to check I was in bed and not playing with my Lego. Apparently that’s not what it means, as demonstrated when 14 million vehicles had to be recalled due to their Takata airbags tending to suffer “rapid disassembly”. In other words, they would randomly explode. Not what you typically want from a safety device. Being stranded on a plane for an hour waiting to take off is frustrating, but even more so for one particular group of Qantas passengers. That’s because when they asked about the delay they were told there was a “pavement failure”. The true failure, of course, was in not just admitting there was a pothole on the runway that needed to be filled before the plane could take off. A particularly cynical bit of political spin, “high value targeting” is a term used by the CIA to describe killing important people. Its use was revealed by WikiLeaks in December, the same month a US Senate Intelligence Committee report highlighted the use of “enhanced interrogation techniques”, or what you or I would call “torture”. The Australian Minister for Finance, Mathias Cormann, announced that the funding cuts to the Australian public broadcaster, the ABC, was in fact an “efficiency dividend”. He went so far as clarifying that the government was “not making cuts”. Later, of course, he further clarified that they were, in fact, making cuts. To avoid all of the confusion he should have just said that the ABC needed to operate within an appropriate financial envelope. Easily the best non-apology of the year came from Luis Suarez during the Football World Cup. 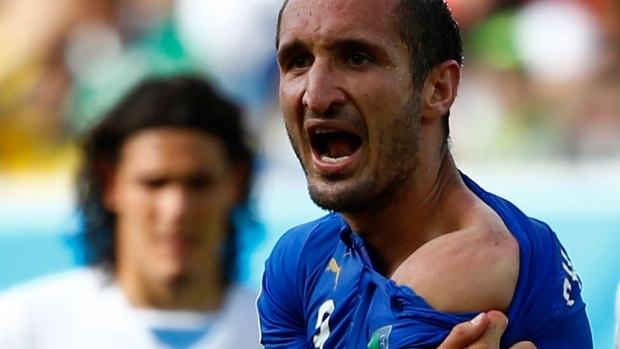 After allegations were made that he bit Italian rival Giorgio Chiellini during a match, Suarez noted that the dozens of cameras that caught the incident and the teeth marks on Chiellini’s skin were, in fact, wrong. He did not bite anyone. Rather, according to Suarez, “[t]he truth is that my colleague Giorgio Chiellini suffered the physical result of a bite in the collision he suffered with me.” He’d better be careful, otherwise next time he plays Italy he might find he suffers the physical result of a punch to the face from Chiellini. The Gold Coast City Council, in Australia, erected a useful sign to help beachgoers. It warned about the “potential for dangerous aquatic organisms”, easily the simplest way to explain the dangers to swimmers that frequent the Gold Coast, including the many non-English speaking tourists. Luckily the sign also included a picture, although I’m guessing it was an equally useful piece of surrealist art. ‘Collabition’ is what happens when you combine ‘collaboration’ and ‘competition’. It is also what happens when you combine ‘dodgy company directors’ and ‘marketers’. What could be worse than ‘selfies’? Couplies, which are what couples do when they want to be narcissistic together. So what it “normcore”? It’s a fashion term that describes wearing unpretentious, plain, average-looking clothing. In other words, someone has managed to make unpretentious clothing pretentious. Congratulations. Let’s fix our roof while the sun is shining because we’re on a course to hit the rocks and we have to fix it. They’re the words of Australian National Commission of Audit member Amanda Vanstone helpfully clarifying that Australia’s “budget emergency” is a houseboat. Another mixed sea metaphor came from sport show co-host Paul Kent, explaining a rugby league team’s chances for success. I think he meant it as a positive, and not as a ship crashing headlong into rocky shores. Finally, an East London Tesco store posted an unusual apology when its freezers broke in the middle of the English summer: “We are trying to get this problem fix as soon as possible and are really sorry for any incontinence caused. Management.” That’s what you call accidentally accurate. Did you hear or read any other examples of the worst words of 2014? Share them in the comments below!